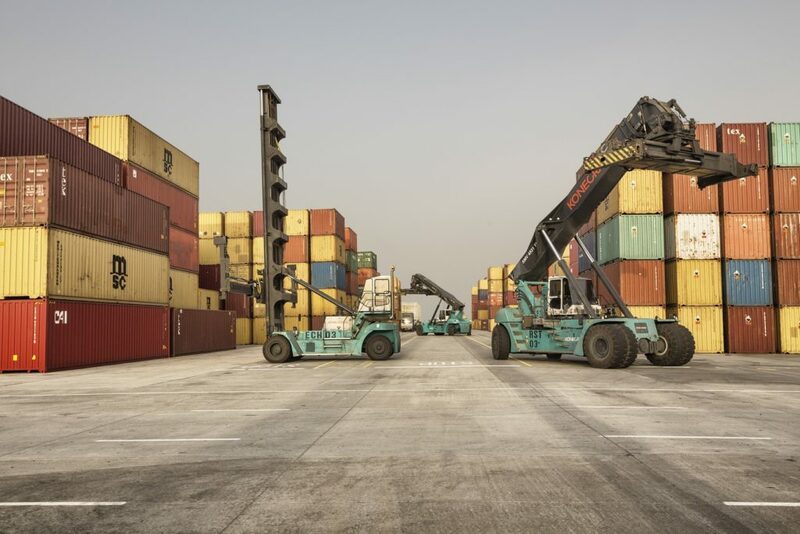 The Lomé Container Terminal recently renewed their service contract with Paterson Simons & Co. Togo SARLU (PSTL), and our 36-strong team in the terminal is occupied full-time looking after 22 Konecranes RTGs, entire fleet of STS cranes and RAM spreaders. The service contract, now in its 3rd year, is dedicated to preventative and corrective maintenance on the Ship-to-Shore (STS) and Rubber Tyred Gantry (RTG) cranes and spreaders. 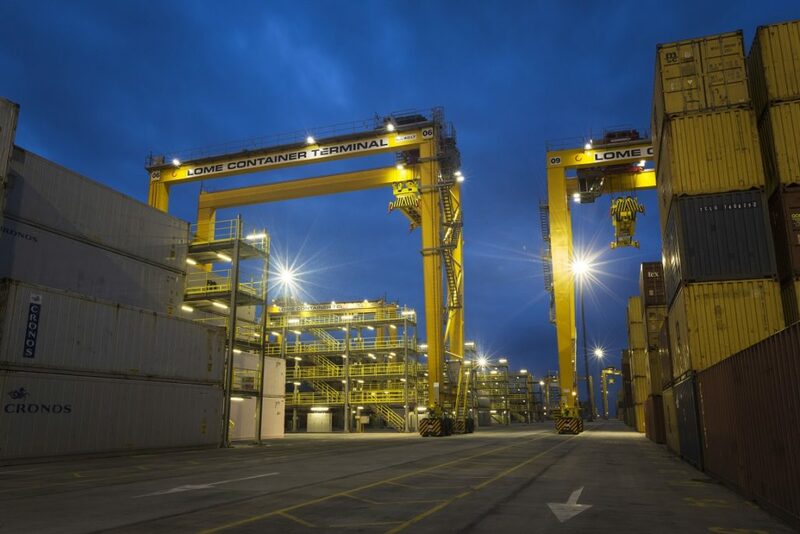 Our crane engineers work 12-hours shifts to maintain LCT’s 24-hour operations. Paterson Simons STS engineers atop an STS crane in Lomé Port, Togo. 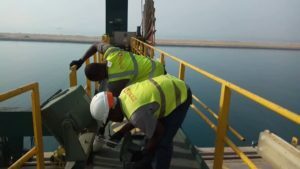 The schedule can sometimes get quite hectic, with routine maintenance scheduled at two RTGs per day and two STS cranes per week, on top of emergent repairs and crises. PSTL is committed to the training and development of our Togo-based crane engineers, who have also received factory-based training on the Alimak Hek rack-and-pinion lifts that service the STS cranes, in order to provide a complete maintenance service across all equipment within the contract. Vessel berthed at LCT, Lomé Port, Togo. Vessels such as the one pictured can require up to 8000 moves, and dock weekly. 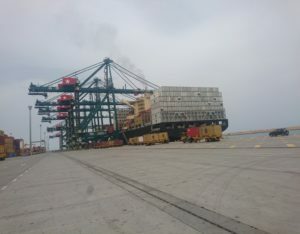 There is no doubt, Lomé is a busy port, in fact according to a Dynamar report, Lomé recently took over from Lagos Port, Nigeria, as West Africa’s leading container terminal. LCT plays a significant role in that turnover, handling nearly 890,000 TEU yearly, amounting to 75% of containers that transit via the Port of Lomé.